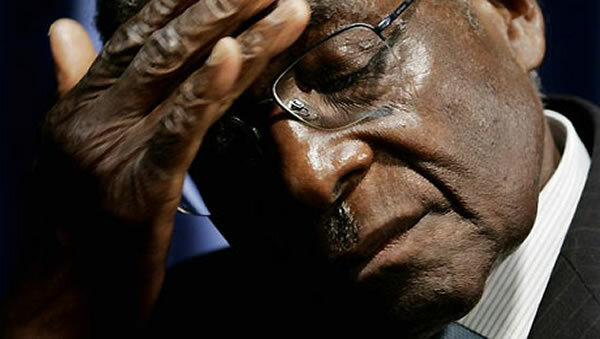 ZIMBABWE – If there had been any doubt that Robert Mugabe has lost touch with what is happening in this country and therefore should go and rest, then the recent uninspiring State of the Nation Address he gave last week nailed it. That Mugabe has presided over the collapse of this economy is public knowledge for anyone who cares to check with what is happening in our beloved country. Mugabe should do Zimbabweans a favour by immediately resigning from his post to allow a process of recovery to take place. Surely, this country cannot be expected to recover from the political and economic crisis we face with a 91-year-old in charge. The most pressing reform we need as a country is for Mugabe to call it a day and leave those with both the energy and expertise to run this country to steer it to prosperity and economic emancipation. What Zimbabweans expected to hear from him rather was how the government is going to create more jobs for the citizens considering that Zanu PF promised 2,2 million jobs while campaigning for the 2013 elections. Two years down the line, many people continue to lose their jobs and the Zim-Asset is now derisively known as the “Zimbabwe Agenda For Sustained Suffering and Employment Termination” due to its failure to stimulate economic growth. It is beyond doubt that Mugabe has become tired and clueless on how to run this great country, as epitomised by the emptiness of what he erroneously called a state of the Nation address. One would have been forgiven for thinking that such an address was merely an election manifesto from a political party, not a plan from a Head of State who should understand economic dynamics and statecraft. Mugabe’s address betrayed his lack of grasp of the real economic and social situation on the ground. One wonders how the economy already bleeding heavily is expected to grow by 1,5%. Listening to Mugabe speak, it was evident that he is no longer in control of the leadership of this country and he has lost touch with what is happening on the ground. It is worrisome that Mugabe is no longer aware of what is happening around him. Which modest growth can he talk about when most companies continue to close, when many people continue to lose their jobs and families are being torn apart by the abject poverty they live with every day of their lives? It is public knowledge that as long as there are policy inconsistencies with regards to the status of investors in this country, Mugabe can kiss goodbye to his warped view and thinking that investment will flow into this economy. Investors require confidence and security of their investments but unfortunately Zanu PF and Mugabe cannot provide this. They will continue to sing empty promises to the people of Zimbabwe. No sane person will invest money in a country that has no regard for people’s businesses and property rights. As long as the 51% indigenisation law remains unchanged and farm invasions continue with no end in sight to corruption, the people of this country will continue to live in misery. Worse still, Mugabe seems to have abdicated his leadership roles and responsibilities to his wife, Grace, who is literally running the show, telling Zimbabweans in her own words that even the two Vice-Presidents [Emmerson Mnangagwa and Phelekezela Mphoko] take notes from her . It is cruel and UnAfrican for people in Zanu PF to keep pushing a 91-year-old in employment. At that age, nobody expects someone to wake up every day to go to work and still be productive. We therefore call upon the institution called Zanu PF to let Mugabe free and allow him to rest.